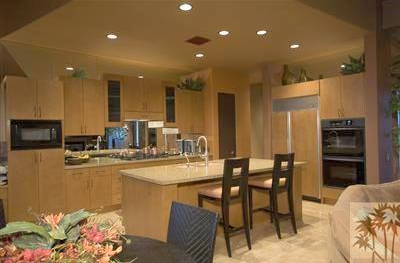 is a private gated residential community that offers stunning views, customized homes, and lots worthy of estate status. For around $1.6 million, you can have a beautiful custom or semi-custom home that is closely situated to Gerald Ford and Los Alamos in the Sterling Estates Rancho Mirage neighborhood, complete with all the amenities: pools, fitness rooms, barbecues, fireplaces, gourmet kitchens, and everything else that you would expect from a luxury home development. 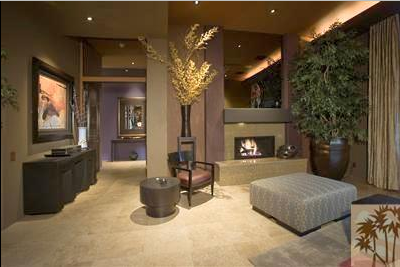 The homes in this development are custom-designed and built by Foxx Homes. This company uses the utmost quality and craftsmanship in their building, and no home is excluded. Every home in the Sterling Estates neighborhood features a contemporary desert style, along with sophistication and estate-sized lots. The exquisite details are what set these homes apart from the rest. They offer ten to twelve foot ceilings, at least two fireplaces, double-door entry to breathtaking master suites, granite countertops within designer kitchens, an outdoor living room, and beautiful views of the mountainous scenery. Buying a home in Sterling Estates may only be for the super-elite; but for those who can’t stay away, you will find every penny you spend to be a worthwhile investment. If you’ve long since dreamed of desert living at its finest, here it is. The homes are all designed by David Prest, who works with Prest/Vuksic Architects, and have the same high standards in design and workmanship of similar homes in the area. Foxx Homes is well known for their multi-million dollar custom homes that have been built in other elite neighborhoods such as Cypress Pointe, the Quarry, Thunderbird Cove, and Bighorn. If you’re interested in getting your hands on a prime piece of desert real estate built by Foxx Homes, Sterling Estates is the place to do it. 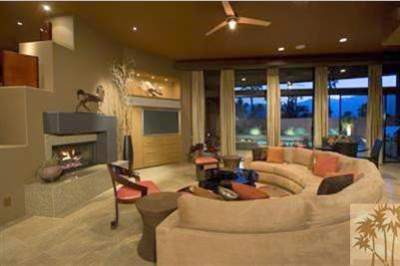 With a top-notch desert setting, a prime location, and the safety of a luxurious gated community, there is nothing that has been left out of the community planning and home design. Whether you purchase a home that is already standing, or an estate sized plot of land to build your own custom luxury home on, you can be sure of one thing: purchasing real estate in Sterling Estates is a great investment, both for your property and for your lifestyle. 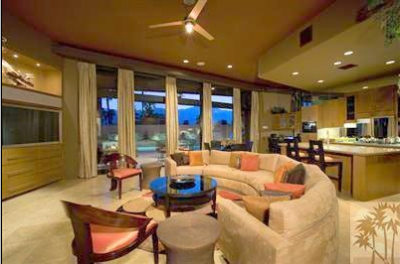 Sterling Estates is just one of the many luxurious, custom designed neighborhoods in the Rancho Mirage area. Their home designs offer a more modern appeal, along with amenities that home buyers of the elite status simply cannot live without. The homes built in this community are among the most stunning and prestigious in the area, without looking stuffy or uptight. For more information on Sterling Estates homes, or to set up an appointment to see a pre-existing property and how you can create the home of your dreams, contact us now. Whether you’re interested in more information, a tour, or simply purchasing one of these perfectly crafted homes, our goal is to help you find exactly what you need. With our focus on desert real estate, we’re ready to help anyone who needs it. If you would like to see property at Sterling Estates, please call us at the numbers below. Were committed to helping you find the home of your dreams.